Introduction: Spro, Big Bite Baits, Gamakatsu, Sunline and Gill got together to throw their second annual writers camp at Lake Lanier Georgia highlighting both new and existing products. 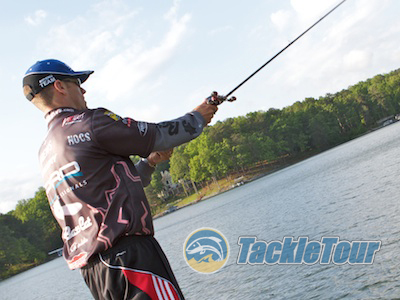 We attended the event and in the spirit of our year dedicated to finesse fishing, were able to gather some first hand tips on techniques and tackle from several big name pros. Here's what a few of them had to say when asked to give their insights into finesse tactics. Spro, Gamakatsu, Big Bite Baits, Sunline, and Gill invite us out to beautiful Lake Lanier, Georgia, for a sneak peak at what they have in store for ICAST 2011. 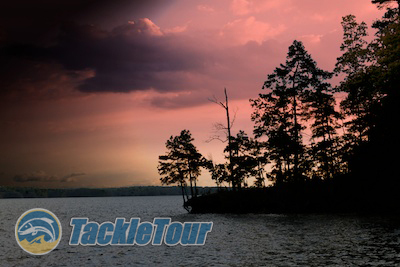 We take the opportunity to gain some insights into what their pros have to say about finesse fishing for bass. Aaron Martens: Few other professional bass fishermen come to mind before this big name Bassmasters Elite Series Pro when the topic of finesse fishing is at hand. Aaron Martens has five first place finishes to his name, three top three finishes, and forty six finishes in the top ten. Finesse fishing is his deal, and here are his tips when it comes to rigging and fishing a drop shot. Which rod is Marten's weapon of choice for the drop shot? He tells us right here. Bill Siementel: At a time when the term "finesse tactics" in bass fishing invokes the thought of drop shotting, shakey heads, and split shots, leave it to Bill Seimentel to think outside the box and offer up yet another method of coaxing stubborn, pressured fish into biting. Shin Fukae: Shin Fukae was in between tournaments on the FLW circuit and took the time to share with us, two new terminal tackle options by Gamakatsu, both developed largely based on his design and recommendations. He gave us a sneak peak as the products are expected to be released at ICAST 2011. Russ Lane: There are pros who rely on finesse, and then there are pros like Russ Lane whose idea of going finesse is turning the trolling motor down from 90 to 70. Just the same, Lane shared with us a relatively new soft plastic bait he designed for Big Bite Baits. It's not finesse, but it's certainly worth an introduction. Naturally what we look forward to the most, when attending events such as this, are the insights manufacturers and their prostaff give us to products that are in the pipeline. The vast majority of the time, this information is shared with us on a strictly confidential basis. We have a couple of such news items in the works from this event, but right as this article was going live, we received permission to release this little teaser on a yet to be named crankbait designed by Russ Lane and in development over at SPRO. We expect to hear more at ICAST 2011, but for now, here's what Russ Lane had to share with us. Dean Rojas: Fresh off his win at Toledo Bend, Dean Rojas was very excited to share with us his new War Mouth bait by Big Bite Baits as well as a new braided line he helped develop with Sunline. Conclusion: Martens, Siementel, Fukae, Lane, and Rojas were not the only pros in attendance. John Crews gave us a sneak peak at something we promised to keep under wraps until just before ICAST, and Mike McClelland shared with us, some inside tips of his favorite technique. Don't know what that is? Well, let's just say it's not the drop shot! John Crews puts his new, undisclosed bait, through the paces. We'd like to thank the folks over at Spro, Gamakatsu, Big Bite Baits, Sunline, and Gill for being such gracious hosts for this event and making the effort to bring us news about their products in such a fun, hands on environment. See you again in at ICAST 2011!